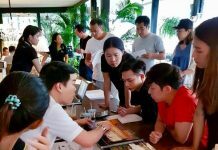 When it was announced that both Tulip Group and Park Plaza Hotels Europe had purchased the former Waterfront site in Pattaya from the Elran Group at the end of July, there was a real buzz of excitement around town. The normal questions were being asked and comments banded around the city, as to whether it would be built this time around, would the design change, what would the price point be. Tulip Group and Park Plaza first went about contacting all previous owners to generously offer them either a full refund of monies paid to the previous owners or the option to stay on board. Some gratefully took the money and ran, others decided to see it out and finally they would get to realize their dream of living on the waterfront. It’s been a quick turnaround since Tulip & Park Plaza Hotels announced that they had purchased the site, a lot has been going on in the background, all new showroom designs, a complete re-work of the room set up and building plan, and of course all the normal sticky legal stuff that always seems to take so long. Combine that with the terrible flooding in the capital and naturally one can see why there have been delays. This had given the doubters “a voice” that maybe just maybe the project was being stalled again. 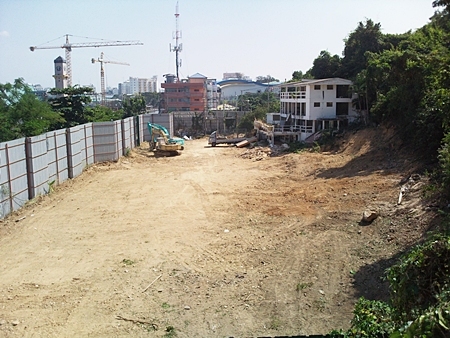 Well maybe this has finally been put to rest now, as on the 14th November VKK construction (well known contractor in Pattaya) started to occupy the site which is now being cleared ready for piling works. Clearing work continues apace on the site of the Waterfront development in readiness for the piling to commence. The first step is to open up the site and remove the ugly green fence that “hides” the site. “It’s very important for us that people can see we have started, given the history of the project,” said Jason Payne, Vice President for Tulip. We have been told that VKK will continue clear the site over the next 6 weeks, including demolishing the old hotel on the site as well as re-route the entire electrical system previously installed along the main entrance road to the showrooms and place this feed underground. 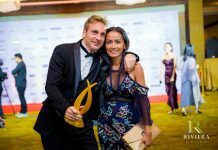 Regarding the showrooms, Tulip and Park Plaza Hotels’ designers have been working hard on designing all new kitchens, bathrooms and room layouts. A full overhaul of the old showrooms will begin shortly to give buyers a real sense of how this stunning project will look on completion. Meanwhile we have been told by Colliers International (sole agent) that interest in the project remains incredibly high with sales reaching over 25% without even an official launch as of yet, no real marketing material and only very low key marketing. 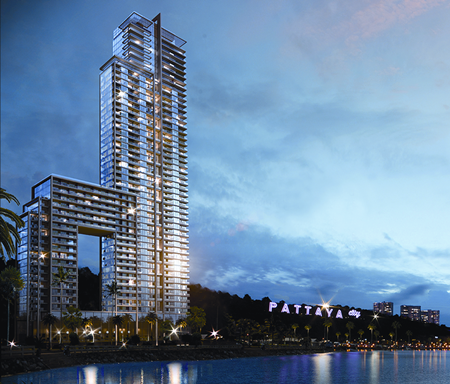 It seems like this Pattaya project is set for great things, and we look forward to updating you regularly on its progress. Next articlePattaya’s high-speed rail link: a pipe dream or reality?